I remember back when I was 15 and Bebo was the ‘in’ social networking website. Everyone had a Bebo profile and everyone regularly updated it. Wow, how times have changed, with Facebook now powering through that same space Bebo once occupied back in 2005! Long story short, Bebo was sold for $850 million, sold again for $10 million and again for $1 million. It’s safe to say Bebo has incurred a very turbulent journey in the past 9 years! Bebo was founded by Michael and Xochi Birch in January 2005 and quickly became an internet sensation. 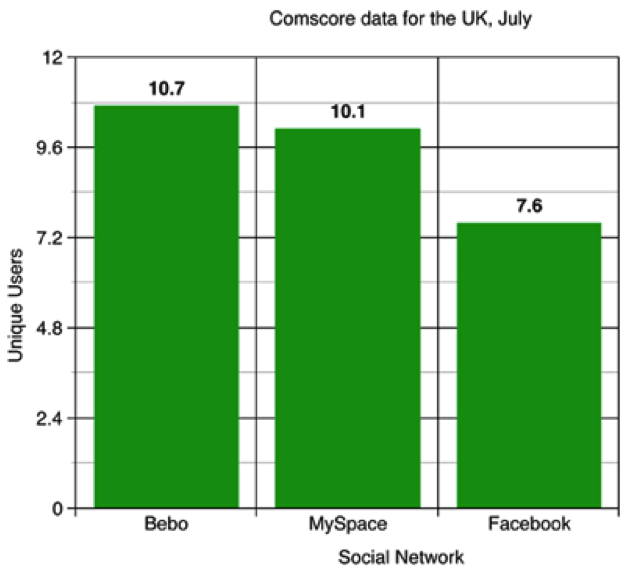 Bebo experienced mind blowing growth rates with Comscore revealing in July 2007 that in the UK, Bebo was the most popular social network with 10.7 million unique users compared to MySpace’s 10.1 million and Facebook 7.6 million (indicated in the graph below). More astonishingly Bebo was ranked as the second most engaging website in the UK with 8.7 billion page views only just behind Google which received 8.8 billion. From the success Bebo achieved, the company was bought by internet giants AOL in March 2008 for $850 million. For all their efforts in building Bebo, the Birch couple took home a tidy $595 million for their 70% stake in the business. With fierce competition from other social networks, notably Mr. Zuckerberg at Facebook and Mr. Dorsey at Twitter, Bebo began to lose momentum and ultimately, engaging users that once spent hours at a time on the site, had now moved on. In April 2010 AOL announced they would either sell Bebo or close the site due to the falling numbers of users. They simply could not keep up with Facebook and Twitter, not to mention AOL’s precarious financial situation limiting the growth potential of the business. In June 2010 Hedge Fund operators Criterion Capital Partners purchased Bebo for a sum rumoured to be in the region of $10 million. Again this proved an unsuccessful remedy in the social media arena with the global population not biting at Bebo’s so called new and improved offering. Subsequently, in May 2013 the company filed for bankruptcy and guess who came back in to sweep up and purchase the company for $1 million? You guessed it – original founders Michael and Xochi Birch. In two years the value of Bebo plummeted from $850 million to $1 million. Pretty crazy hey! How times change! 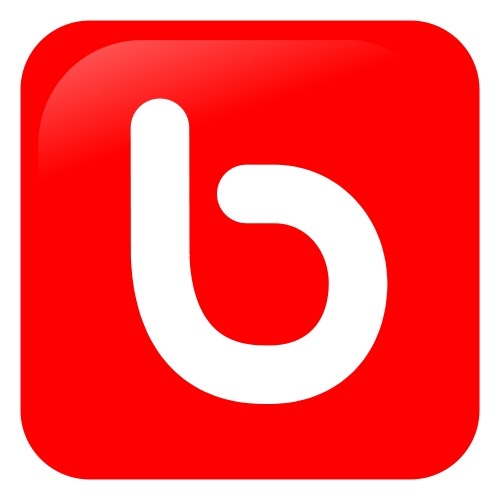 It seems that the Birch’s have an idea to re-launch Bebo, fair play to them. If anyone is going to make it work, it’s probably going to be them. Check out the video on www.bebo.com with a little insight into what they are looking to do with the site. It may be a slightly odd approach but perhaps they are attempting to rebrand Bebo as more of a fun platform, that can be associated with laughter and happiness. Last time I checked, 654,700 people had signed up for the new Bebo. So let’s see what it has in store for the social media space. I wish the Birch’s the best of luck as they are going against some of the largest tech firms in the world!